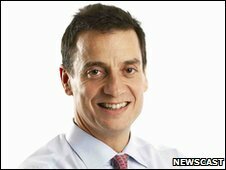 The supermarket group Morrisons has appointed Dalton Philips, a former Wal-Mart executive, as its new head. Mr Philips, 41, is currently the chief operating officer of Canada's largest food distributor Loblaw. Morrisons, which is the UK's fourth-biggest supermarket, had been forced to find a new chief executive after Marc Bolland left for Marks and Spencer. Morrisons said Mr Philips had a "tremendous retail pedigree". He will take up his new position in March. Mr Philips is relatively unknown in the UK retail business, but has extensive experience around the world. He worked for Wal-Mart, the world's biggest retailer, between 1998 and 2005. He rose to the position of chief operating operator in Germany. He then became chief executive of the upmarket Irish department store group Brown Thomas. Loblaw, his current Canadian company, is a major chain of 1,000 stores with a turnover of £18bn. His international retailing career began in New Zealand, where he began as a store manager. Sir Ian Gibson, Morrisons chairman, said Mr Philips had "a tremendous retail pedigree and a wealth of experience from senior retail positions around the world".